All four top seeds picked up game one victories this evening, but as countless series have shown, anything can happen. Below is our annual table of potential round two matchups based on the outcomes of this weekend's games. 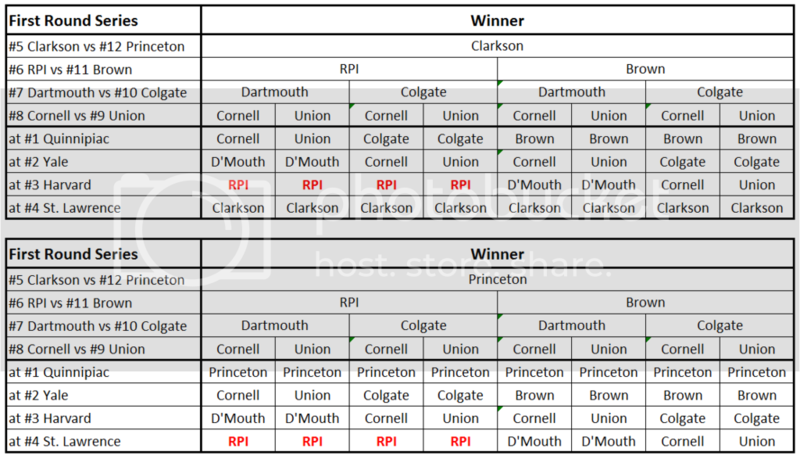 Only two potential second round matchups for the Engineers if they manage to move past Brown. Harvard if Clarkson beats Princeton, and SLU if the Tigers come back to win that series.